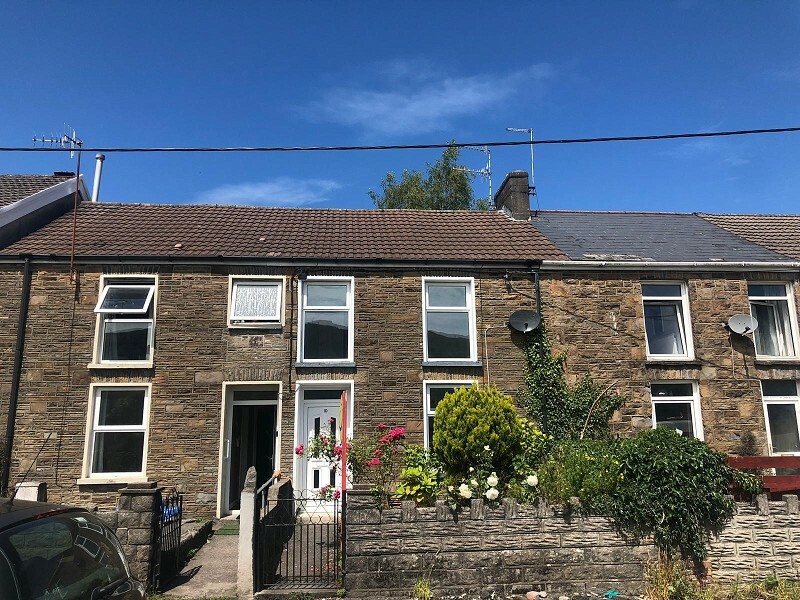 CASH OFFERS OVER £150,000 ONLY REQUIRED FOR THESE TWO TRADITIONAL BAY FRONTED SEMI DETACHED HOUSES AND 2 STOREY GARAGE WITH LARGE DRIVEWAY AND LARGE GARDENS FOR SALE IN ONE LOT. 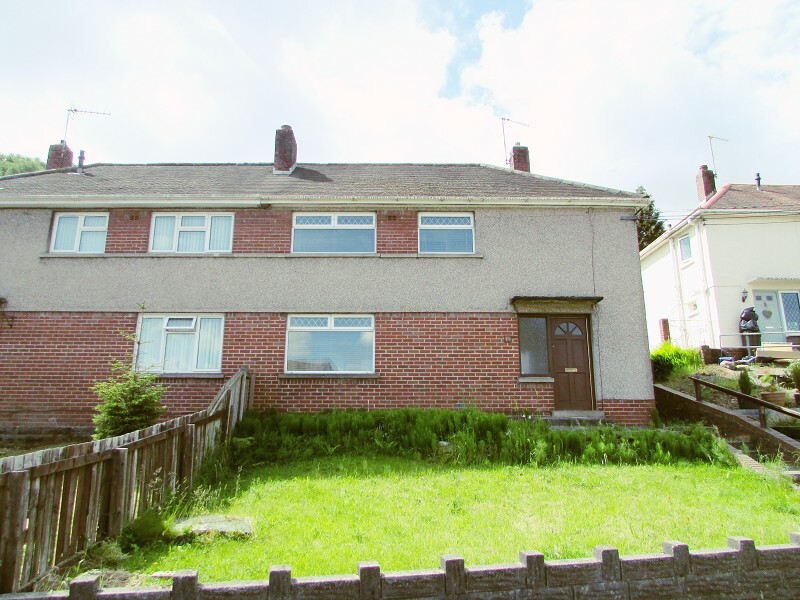 Both properties require full modernisation and full renovation! Offering potential for restoring the two dwellings or conversion to one large dwelling or apartment complex (subject to planning permission). 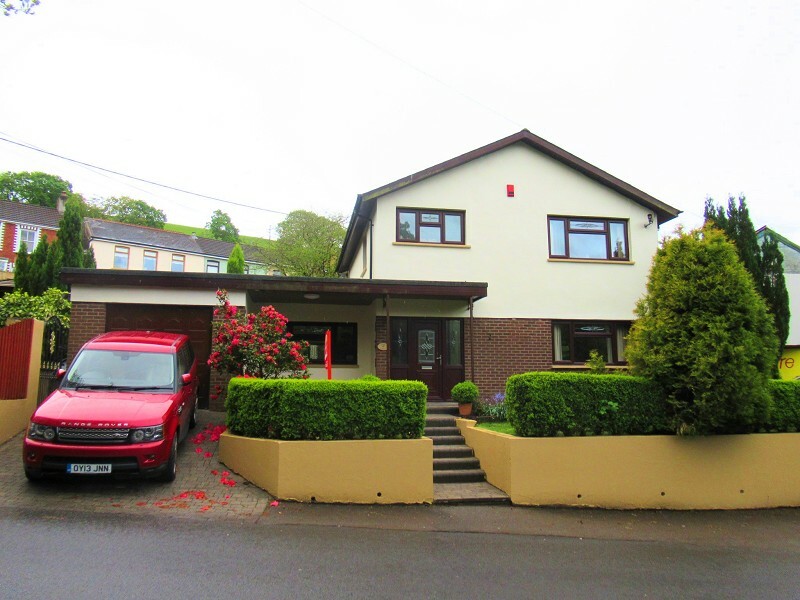 The property is situated in a secluded location between David Court and a commercial lock up building within 1/4 mile from the village centre at Pontycymer and approximately 6 miles from the M4 at Jct 36. Cycle tracks and lakes are also within 1 mile (approximately). Hillside views and mature trees screen the site. Each property has shared porch, main hallways, 3 reception rooms, 2 and 3 bedrooms, bathrooms, kitchens and huge potential. Externally there are gardens to rear and large side driveway. On site there are 2 central heating oil tanks, outbuildings and greenhouse. Also there is a 2 storey garage at the entrance with its own access requiring major improvement. Strictly by appointment with Peter Morgan Estate Agents. Please telephone 01656 667100. For personal mortgage advice contact our whole of market Financial Adviser Clive Williams on 0330 056 3555 option 1 option 1. Staircase to first floor. Period archway. Dado rails. Corniced ceiling. Understairs recess. Reception Room 14' 5" x 12' 3"
uPVC double glazed bay window to front. Tiled fireplace with alcoves. Corniced ceiling. Reception Room 12' 11" x 11' 0"
uPVC double glazed window to rear. Stone feature fireplace. Alcoves. Reception Room 13' 0" x 9' 8"
uPVC double glazed window to side. Alcoves. Laminate flooring. Kitchen 12' 4" x 10' 11"
uPVC double glazed window to rear and door to side. A range of wall mounted and base units. Bathroom 12' 3" x 9' 7"
uPVC double glazed window to side. Close coupled wc, bidet, pedestal hand wash basin and corner bath in burgundy. Full width store cupboard. Bedroom 1 17' 2" x 16' 6"
Bedroom 2 10' 7" x 10' 3"
Outbuilding and concrete patio. Door to kitchen. Oil fuel tank. Flat garden with mature trees screening hills to rear. Spindled staircase to first floor. Period archway. Corniced ceiling. Dado rail. Radiator. Reception Room 14' 11" x 12' 2"
uPVC double glazed bay window to front and casement window to side. Tiled fireplace. Alcoves. Corniced ceiling. Radiator. 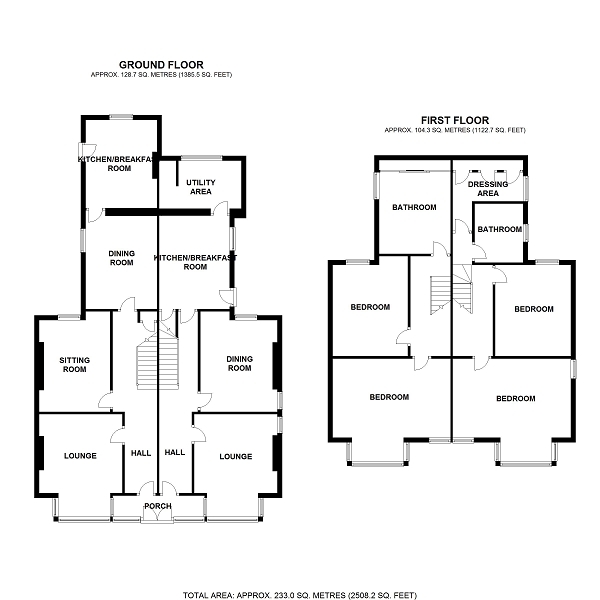 Reception Room 14' 0" x 10' 1"
uPVC double glazed windows to side and rear. Tiled fireplace. Alcoves. Radiator. Reception Room 13' 1" x 10' 0"
uPVC double glazed window and door to side. Understairs storage cupboard. Tiled fireplace. Radiator. Utility Room 11' 8" x 6' 0"
uPVC double glazed window to rear. Free standing oil central heating boiler (not tested). Bathroom 8' 3" x 6' 10"
uPVC double glazed window to side. Feature internal window to rear. Pedestal hand wash basin, wc and bath in white. Tiled walls and floor. Radiator. Kitchen / Dining Room 16' 7" x 17' 0"
5.05m x 5.17m x 4.06m (16' 7" x 17' x 13' 4") approx. Originally bedroom 1, now a first floor kitchen. 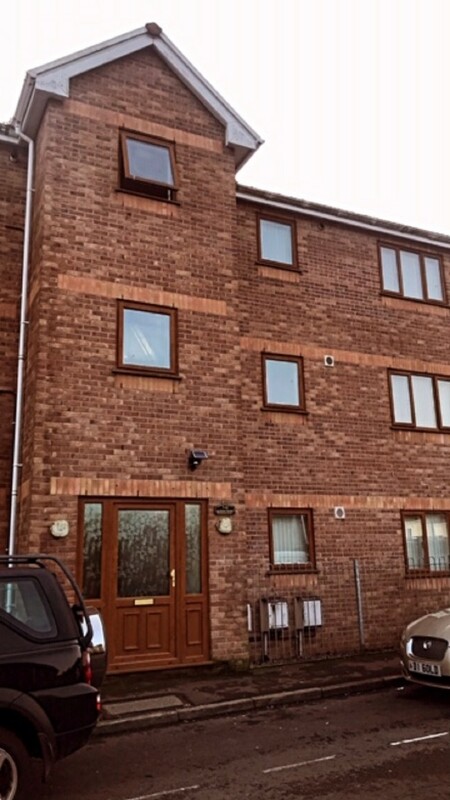 uPVC double glazed bay window and casement window to front. uPVC double glazed window to side. Fitted wall mounted and base units. Integral stainless steel oven, grill, microwave, hob, extractor hood, fridge and freezer. Radiator. Picture rails. Bedroom 2 10' 7" x 10' 6"
Bedroom 3 9' 11" x 10' 2"
3.03m x 3.10m x 2.21m (9' 11" x 10' 2" x 7' 3") approx. Airing cupboard. Built in store cupboard. uPVC double glazed window to side. Right of way access and parking area. Dilapidated condition. Offering potential for various uses. Separate/ its own driveway/ access. Large rear garden. Turfed. Screened by mature trees and hillside view to rear. Oil fuel tank.